You’re gonna want to take a longer lunch! 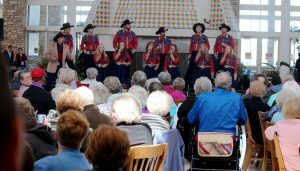 Because there are two special Medora Musical preview performances coming to a town near you! Catch the first one Monday, May 15 at 1:00pm CDT, at the West Acres Shopping Center food court in Fargo, ND. 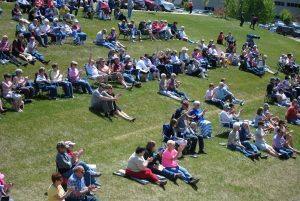 Then on Tuesday, May 16 at 1:00pm CDT, make your way to the ND Heritage Center Prairie Amphitheater in Bismarck, ND for another bully performance! The performances are about 20 minutes long and will give you just a taste of what’s in store for this year’s show! Summer is here, which means Medora Musical season is right around the corner. We’ll see y’all June 2nd for opening night! Click here to get your Medora Musical tickets!